Happy Birthday today to Jon Pearl ('57)! can correctly identify yourself (or even incorrectly identify yourself), I can mail you your silly prize! Carol, just had my taxes done and Gerald Burks, Class of 62 is my accountant. I told him about your great site. He requested to be put on the mailing list - thanks. I’ve looked for you forever and a day! The fact that I was looking in Richmond may have slowed me down a tad….. Please add me to your mailing list………I love it! Thanks, Carol, for all you do. Newsletters generally are posted and announced on Mondays, Wednesdays, and Fridays, although there are frequently bonus editions. Did you ever think the NNHS site would serve as a picture repository for us to send our friends to? See how wonderful and wide in scope this web-site is? You know I enjoy and appreciate all your work. Thank you a thousand times. Tell Rochelle (Spooner - '63 of NY) they torn down the junk yard and replaced it with industrial park working on scallop boats at Small Boat Harbor. to the large number of Military members. So the Troop Council stepped in to help run the Troop till the men got back. been and still is staying at a Holiday Inn or someplace equal, with soft beds and lots of hot running water. WOWZER-YOWZERS!! Now that's impressive! Thanks, Cathy! of '48. He was the handsomest of all my uncles and still resides in Denbigh. I believe he just turned 75. The name "Paul Wagner" certainly sounds familiar. teams lists. Possibly he didn't get involved until his last two years (47 and 48). I'll send a copy of this to Ralph Wicke, class of 1950. He may be able to take a different look at the teams list. Robert Wiatt of Osprey Avenue in Wythe. Robert is now deceased and I think Bruce may be too. between 25th Street and the streetcar line. We were in the Boy Scouts together. Your grandmother must have been a strong woman. They deserve more credit than we gave them at that time. Virginiana room. How good we all looked then! What happened? Joe Madagan ('57 - of FL) was saying the other day about assuming things?!? WILDER GIGGLES!! OH, how sweet - and pretty! Thanks, Al! of Jesus Christ of Latter-day Saints. This letter of his is going to require a concordance to understand, so I'll try to interpret the terms. Carol ... oh Carol!!! Hey little baby duck, howsareya? This is your favorite brother-in-saint, right here (still after lo these many years) in NN. If you're looking for someone who can relate stories of the (in)famous Blue Lite Club - I'm yer man. the disclaimer, this was well before Candy and I met the missionaries and joined the church. had a soft spot in my head, uh, heart, for a gal that could drink as much as me. stopped drinking in the early ' 80's. bay. I still have pictures of those goings-on. Still have a Blue Lite tee shirt too! the ol' BLC. Gotta go 4 now, so you take care of you 4 me, okey-dokey? Okey-doke. Dave Whitley - survivor of the Blue Lite wars of the ' 70's. mail, use my work addy - david_whitley@dom.com. from laughing so hard from watching Napoleon Dynamite for the third time with Adrienne the night before. you're talking about, but I haven't laughed so hard - well, since I watched Napoleon Dynamite! Thanks for the fun! Last evening I received a wonderful email message from Coach William "Bill" Chambers, and wish to share a small portion of it with the TYPHOON who may not be in touch with this NNHS Faculty member that so greatly affected many of our lives with his quiet and gentlemanly manner during his three years as Head Basketball Coach at NNHS, and while his winning record was very impressive, his example for all of the student body and especially the members of the basketball teams that he coached was even greater. Few memories of NNHS would be complete without including this giant of a man, a gentle giant. "We have recently built and moved into a new house. As a part of the move, I unpacked some old scrapbooks from the NNHS days. The scrapbooks had deteriorated, so I refurbished them and, in the process, there were a lot of great memories associated with those Newport News years. We often here that “timing” in life is so important. I think that I am a good example of this as I was very fortunate to come to NNHS when I did and be able to work with some excellent athletes and fine young men. I still question my decision to leave a State Championship team in tact to go to William and Mary, however I did feel good that I was involved in getting “Lefty” to replace me, and that they went on and won another State Championship"
Hope you considering adding this to the NNHS Basketball page for 1955, 1956, and 1957. Go TYPHOON! WOWZERONI!!! I will, Adonis - just as soon as I can get back to my keyboard! I want to devote a little extra time to this one. Hi! My wife Jean Toth has been sending things to you. I have a lot of stuff on the Blue-Light Club. Would you be interested? thoughtful, but I do like to pretend that I am both, so I'm always grateful for the few months that I'm able to project that ruse. Intermodal Division. I had sent him the note in hopes that Swift had a good maintenance plan. Oh, Evelyn, she's beautiful! And I think she's one of those children who manages to look exactly like both her parents! 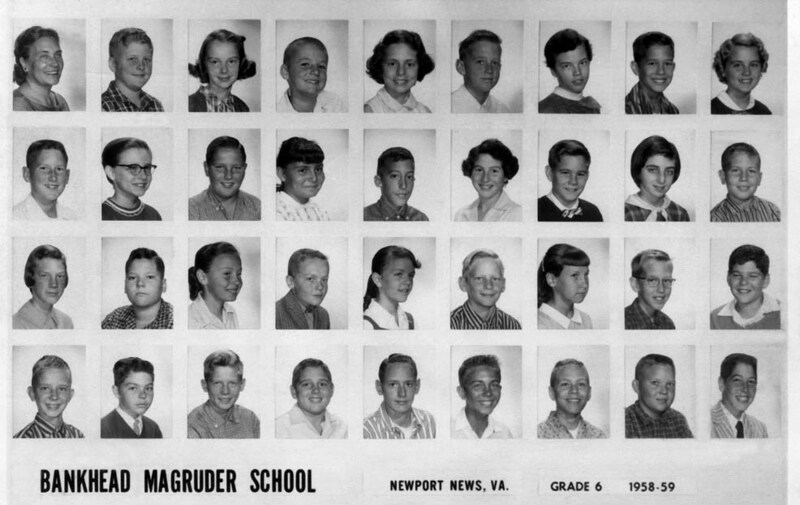 Garden Drive on the beach side....(Rip - didn't you have a wild crush on Pam Weaver ('66)? Steve did! in 9th? on this and ask him to tell us the name! Or I bet he can scan a pix. Joel - do you have any of us in the neighborhood? I told Steve to watch the DVD and look for you toward the end at that recent reunion! WOWZERONI! What precious memories! And what an adorable picture! Thanks for sharing it with us, Gail - and Joel! ready? It was Lewis Shoe Store! WILDEST GIGGLES!!! memories of Stuart Gardens and your description of the place as being akin to a college campus is right on the mark. wonders as kids today with all their electronic gizmos. Always a pleasure to stroll down memory lane. You bring back such nice memories. time and place. Thanks so much, Joel! et al. My memories go back a bit further, however. since learned to swim - not like a fish, but enough to enjoy the sport). - at least the house he lived in and the neighborhood he frequented! Forever and always he will be Mr. James P. Wilson, Jr. - never just Mr. Wilson or, heaven forbid, Jim! to contribute to the group. and behave so politely given that we were all teenagers! compared to all the other bands. We won that trophy, too! from anywhere, who could hold a candle to us! We were the best! I have many more memories of the four years I was in Mr. James P. Wilson, Jr. 's band. I'm sure you all do, too. Mr. James P. Wilson, Jr. should be proud of the legacy he left at Newport News High School. He is one of a kind. Thank you, Mr. James P. Wilson, Jr.
from the armory? Don't fret over the date. I just made it up. Yes, I am alive and well. Jimmy, Darlin'! How are you?!? Isn’t that the weirdest thing?!? The problem is – I remember walking out of the school, and heading up towards Nachman’s. remember my play clothes from that period of time. Stay in touch, Jimmy-Jimmy! And have a wonderful birthday Monday! wizard. You look absolutely the same in the photos. Joel Fisher ('66) was in my office yesterday and told me about the website. to you and your son for all of the time and energy you've put into keeping the class of '65 together. going to take, and what they're going to leave behind! is at the moment, but Otis is indeed in Atlanta. four boys and four girls, ranging from 13 years to 18 months. We found out just Thursday that a ninth one is due in September. YEA! So mostly, I do this. Thanks, Debby! As I said earlier, I cannot tell you how delighted I am to have finally located you! I am very sorry to hear about Randy Howell’s death. My prayers go out to his family. Hope you are feeling better today—get some R&R this weekend!! I look forward to your great Newsletters next week. 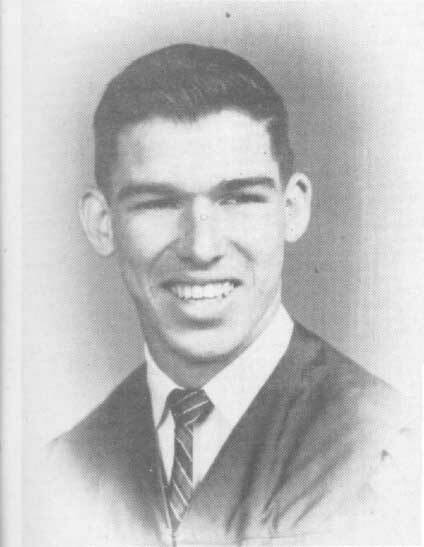 I knew Randy (Howell - '65) well and also his brother Robert, who we called Rocky. Rocky, used to like my sister Nell. I think he took her out some. He was also in the DPO with me . Sorry to hear of his passing. As were we all, John. Thanks! on the floor. Now you announce that you fainted. What is going on here? You all are working too hard. Slow down, Kid. You are so driven that you do not know when you have run out of fuel. We want to enjoy your humor for years to come, so please slow down. was nearing record length, I wanted to save them for Valentine's Day, and I'm out of time! GIGGLES!!! Thank you so much, Dave! This rendition has exactly the period flavor I had hoped against hope to capture.